Tottenham striker Harry Kane has vowed to come back "stronger than ever" after his latest injury setback. 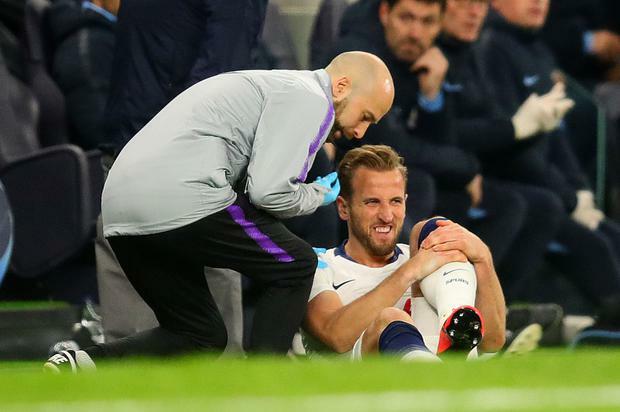 Kane suffered his fifth ankle problem in two-and-a-half years and second of 2019 during his side's 1-0 Champions League win over Manchester City on Tuesday. The England captain is expected to have a scan on Thursday, but boss Mauricio Pochettino is concerned that Kane's season could be over. Kane tweeted: "Gutted to go off injured but every setback is a chance to come back stronger than ever. "Big finish from the boys to go on and win!" Spurs were drawing 0-0 when Kane twisted his ankle during a challenge with Three Lions team-mate Fabian Delph. Pochettino's side went on to claim a famous quarter-final victory in their new home when Son Heung-min scored with 12 minutes remaining ahead of next week's second leg in Manchester.